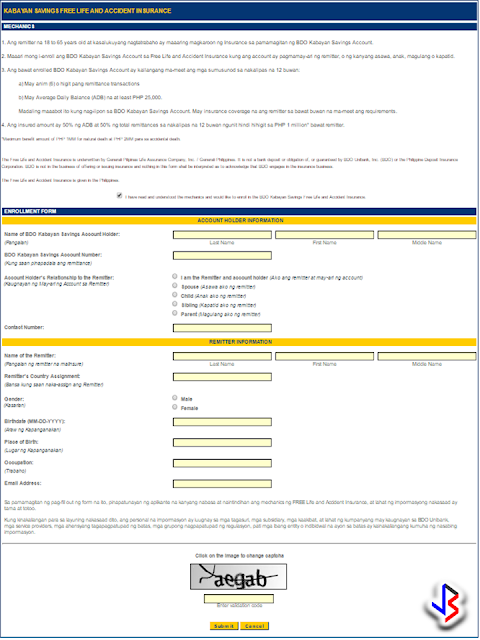 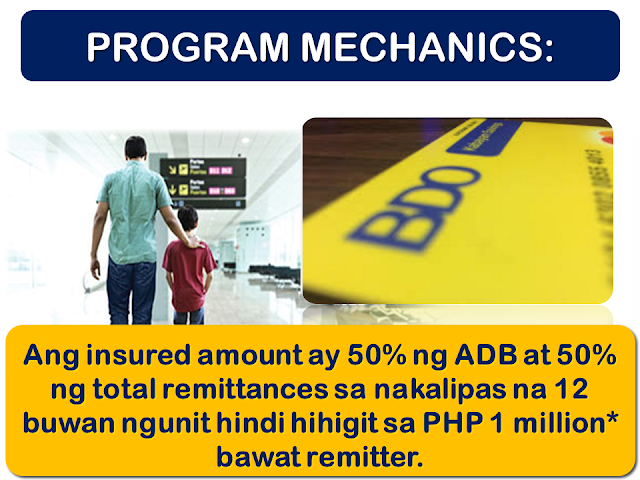 Every OFWs are sending remittances to their family back home, either by bank-to-bank transactions or cash transfer. 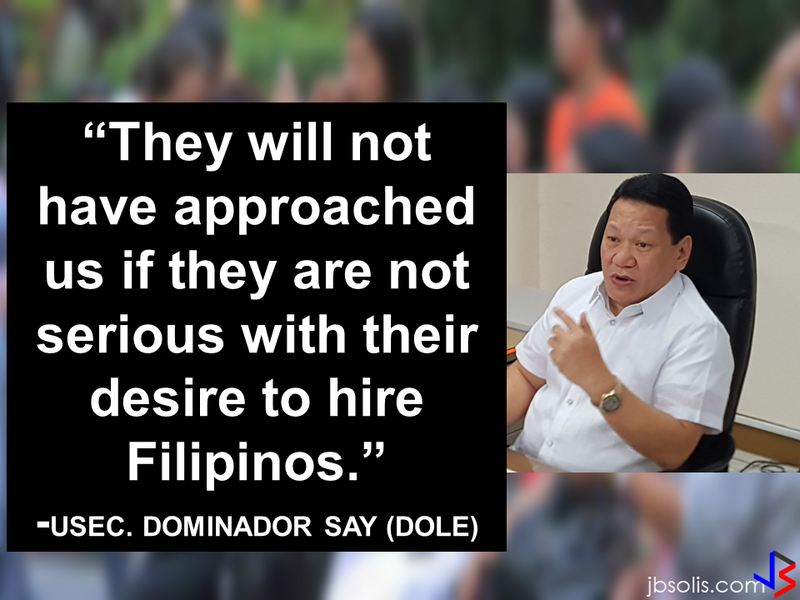 However, you cannot get any privilege by doing it. Here is the good news: there is a bank account that gives you a Life and Accident insurance while sending your remittances to your family. 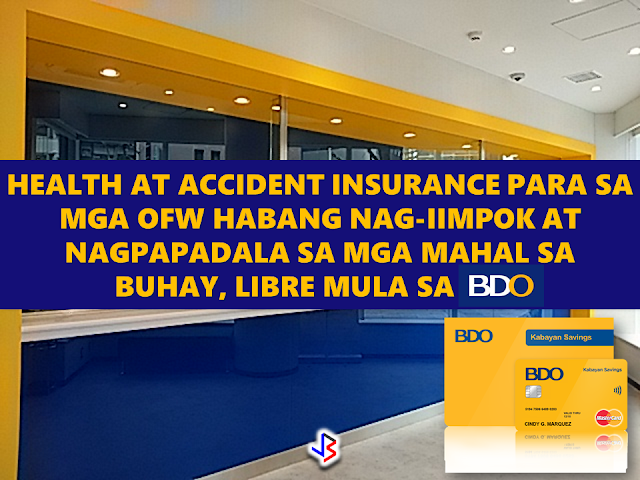 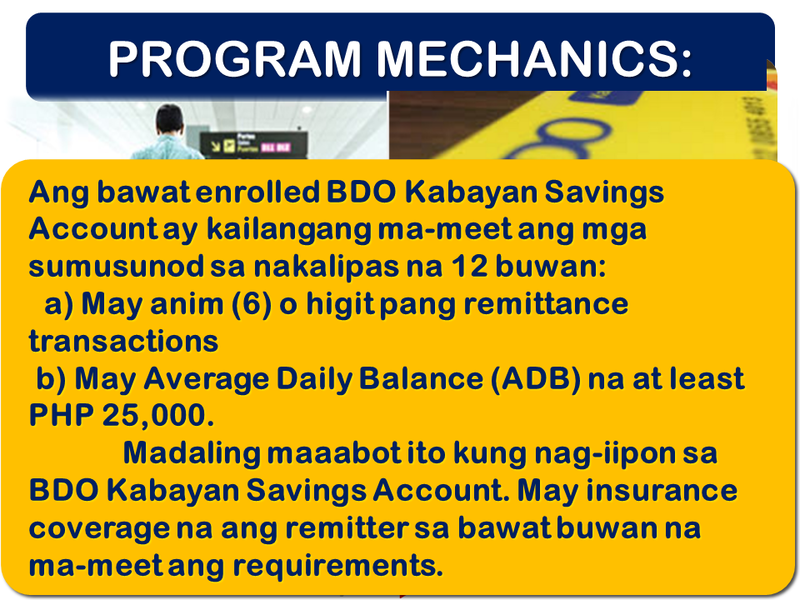 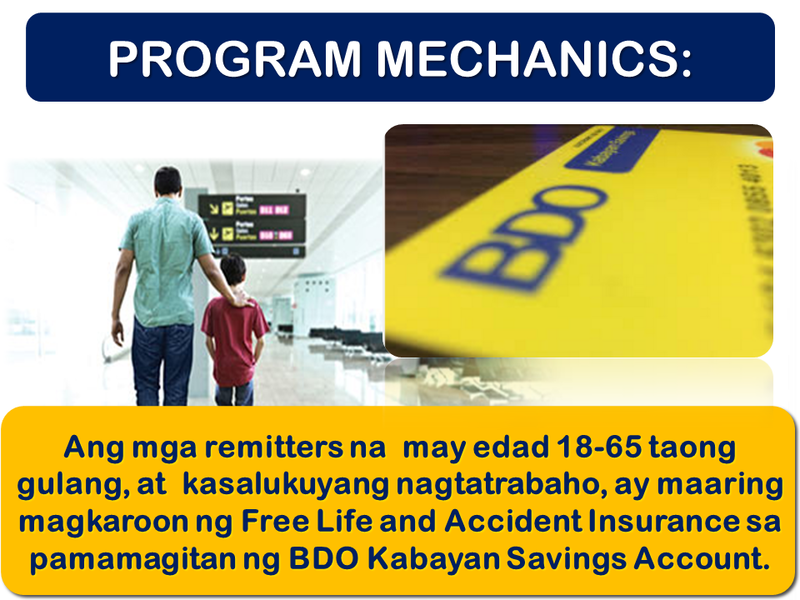 Free Life and Accident Insurance Get insured while you save and send remittances to a BDO Kabayan Savings Account! While they take care of your hard-earned money, they help you secure your family’s future. 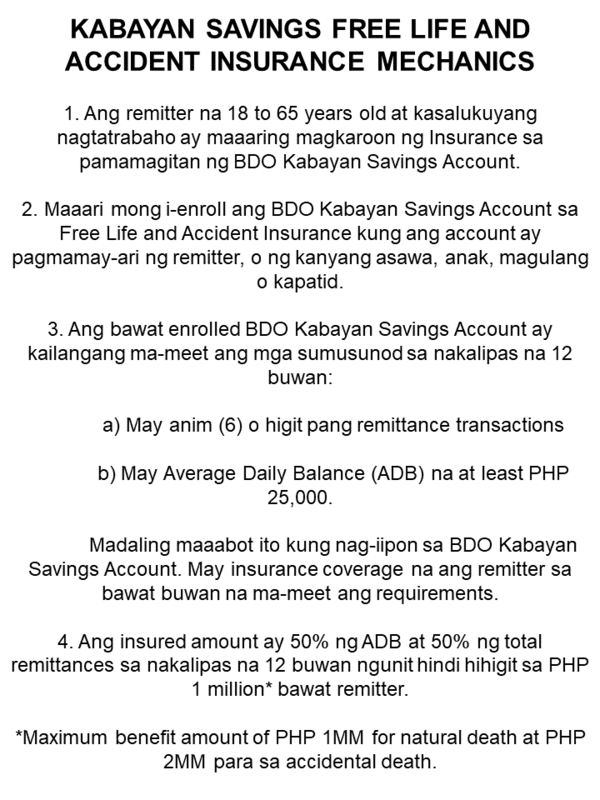 Enroll your BDO Kabayan Savings Account in Free Life and Accident Insurance if the account is under the name of the remitter or the remitter’s spouse, child, parent or sibling. The insured amount is 50% of ADB plus 50% of total remittances in the last 12 months not exceeding PHP1 Million per enrolled remitter. 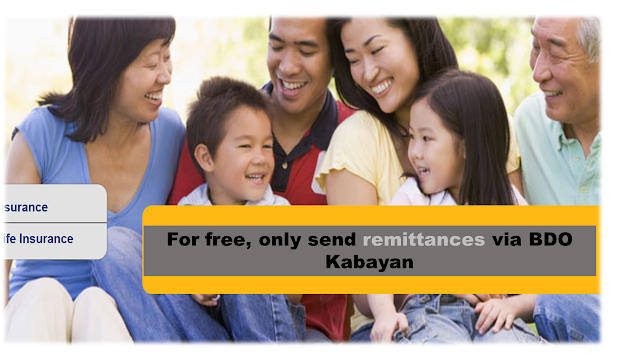 By sending remittances and saving, you will get a free insurance that can help your family whatever happens to you. 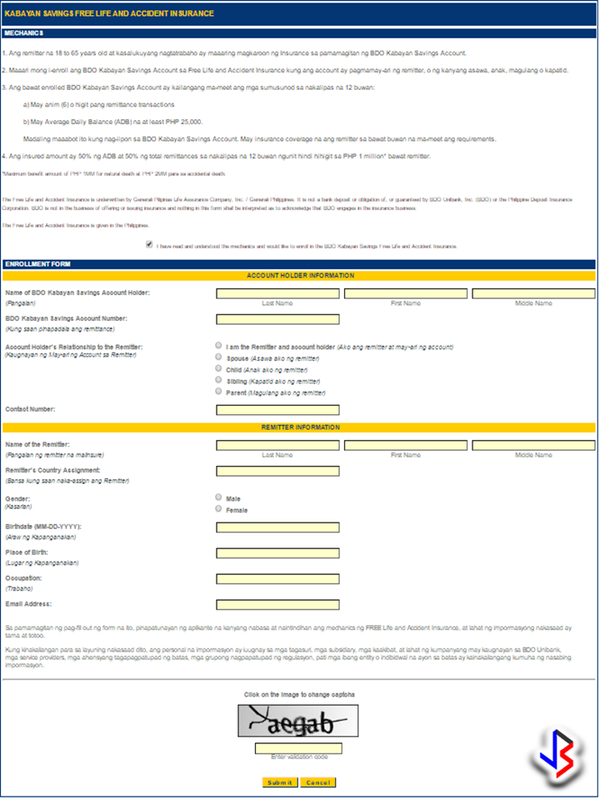 Looking For Small House Design? – Find Everything You Need Here.